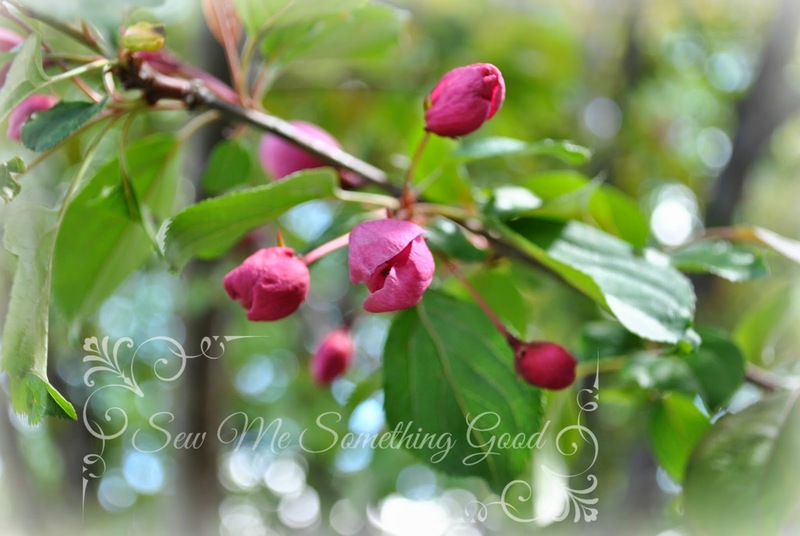 I'm excited each Spring when the tree in our backyard gets covered in pink blooms. This year, it seems much later to finally see everything greening up. Makes me appreciate it all the more. 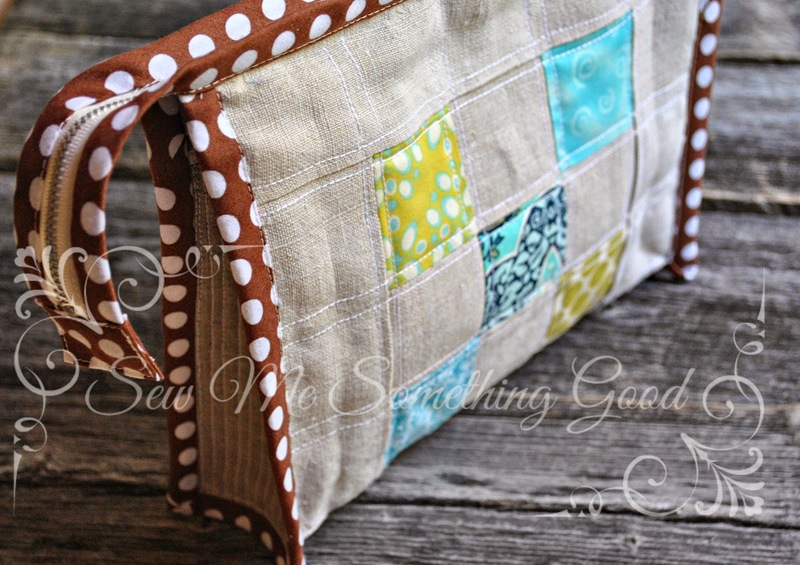 Part of the new look for this pouch included adding quilting - in 12wt cotton. 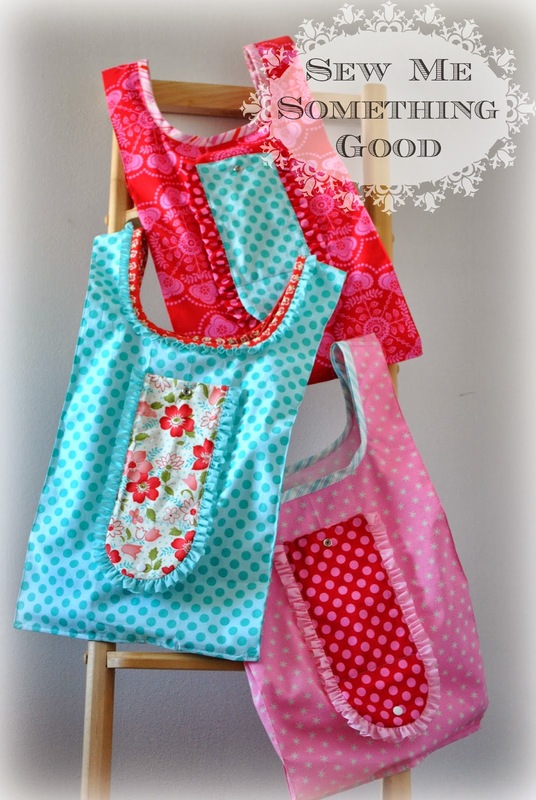 Have you ever sewn something that you liked, but knew could be better? It happens to me, too. Often, I just move on to the next project and call it a learning experience. ;o) Sometimes, I set the project aside and wait to see if a better idea comes along so I can improve my finish. The waiting is now over for one particular project. 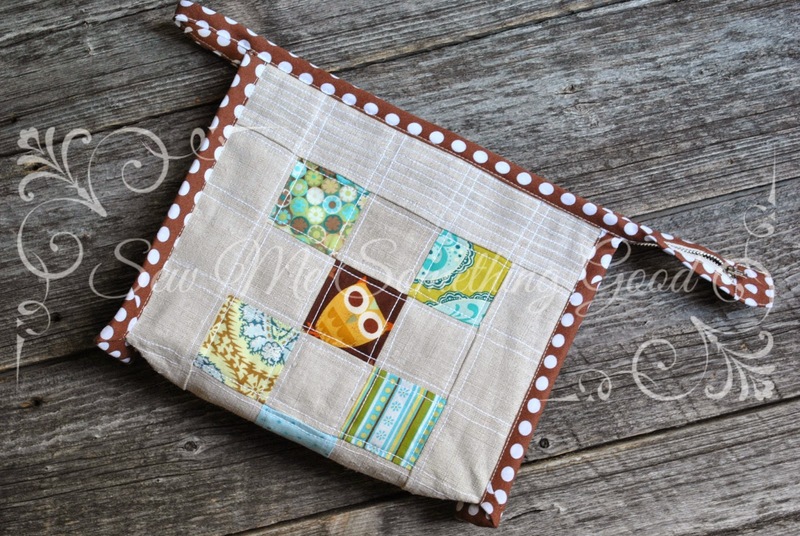 9-patch blocks in quilting cotton paired with a rough weave linen form the main body of the pouch. 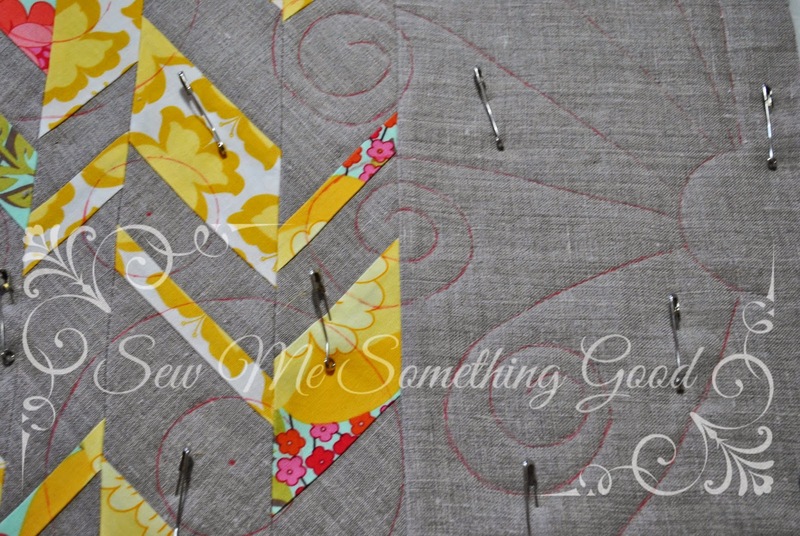 Dense quilting for the gussets in 12wt cotton thread add interest to the sides. 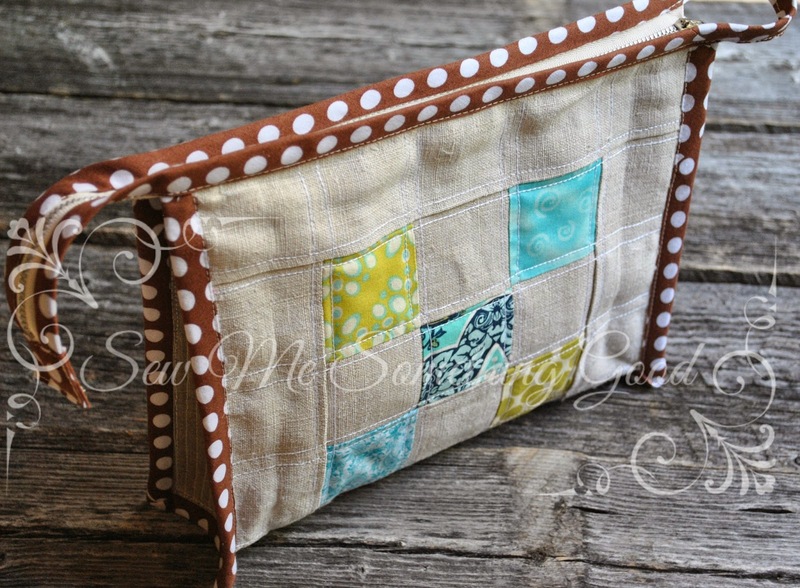 and an interior zippered pocket. Love interior pockets and the chance to use zippers from my thrifting stash. The binding is sewn to encase all raw edges and the zipper tape. A loop is formed at one end of the zipper for ease in opening the pouch and a fabric tab encloses the opposite end of the zipper for a clean finish. Funny how little changes can make such a difference. 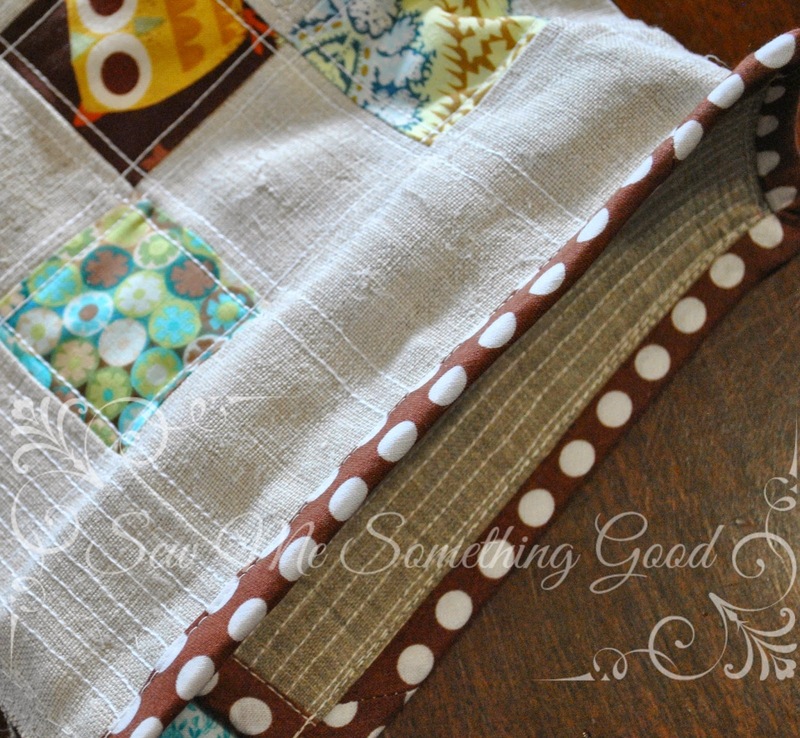 Have you heard about the fun contest being held at Mad About Patchwork? 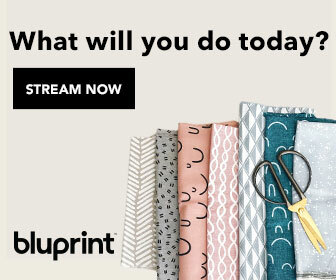 Pop on by for the details on how you have a chance to win your own curated bundle of fabrics. 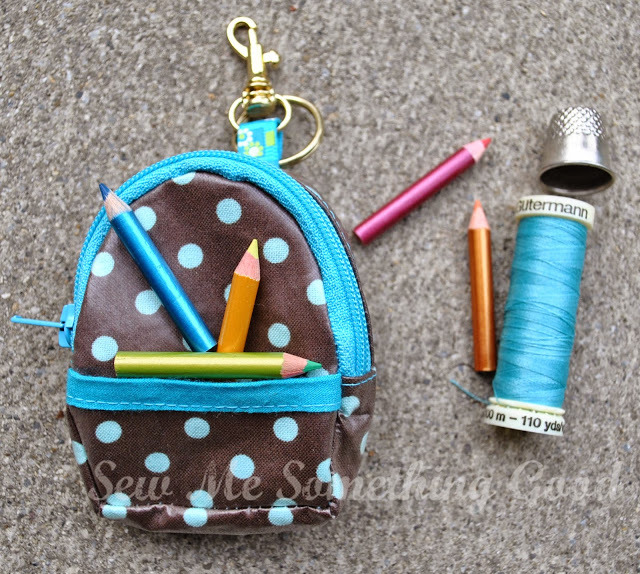 "Teal Me True" bundle I put together from fabrics at Mad About Patchwork. I also wanted to mention that there is another buy happening at Massdrop for 6 spools of Aurifil threads in basic colours for $45.99. It's a great deal and they ship internationally, so check it out. 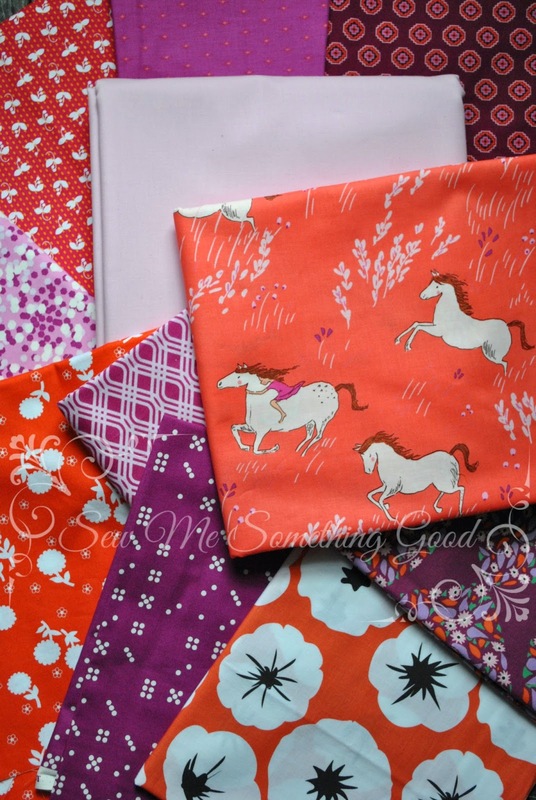 Oh, and if you're interested in Liberty fabrics, there's a buy happening for a 10 fat quarter bundle of Liberty fabrics . 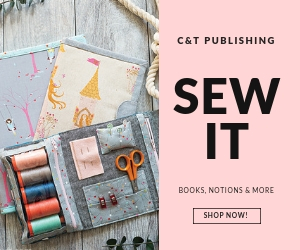 Other crafty deals you might like are still in the voting stage on Massdrop - including the poll for quilting software (I'm still hoping there's enough folks interested in a deal on EQ7 so that this poll will soon become a buy... ;o). Have you heard of Massdrop? "Massdrop takes a group of people that each want to buy the same thing, combines their order, and places that order directly with the manufacturer. As a result, everybody in the group gets the large quantity price while only having to buy one (or two, or ten - as many as you want). (Pro Tip: The bigger the group, the better price that everyone will get!)" I'm new to Massdrop, but love this idea. Who doesn't like getting a deal on something they want to purchase? Currently, in the Crafting section on Massdrop there is a poll going for purchasing quilting design software. There are three choices. I have had my eye on buying EQ7 for a little while now and when I found a poll underway for a group buy of EQ7 on Massdrop, well, let's just say, I'm pretty excited. The thing is, this only works if there's enough interest. This poll needs more people to vote! 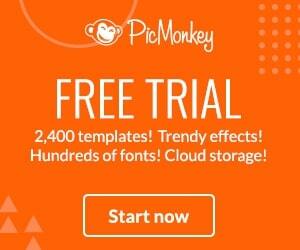 It's a great opportunity for you to buy this software at a reduced price, if you're interested. Want to know more about how Massdrop works? Click here for their FAQ. Check out all the products in the Crafting section on Massdrop that are in the voting stage. 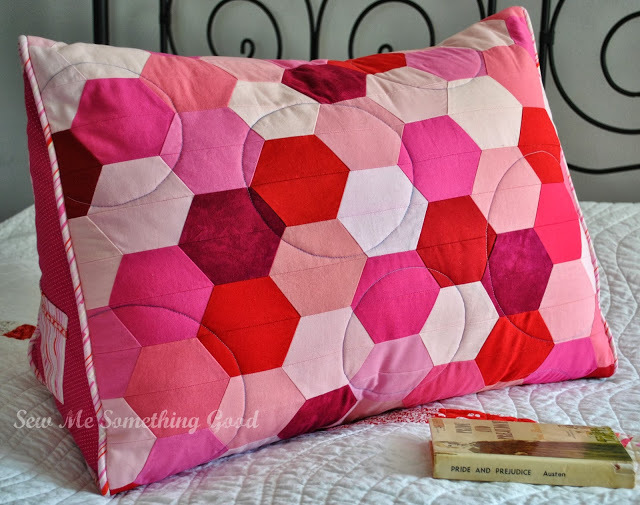 Scroll down to find the poll for buying quilting software and make your choice. 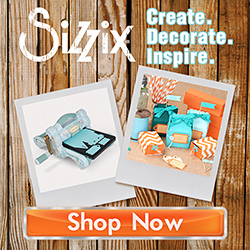 There's also polls for group buys of many different items such as fabric (mmm... shot cottons), rotary cutters, sizzix machines, sewing machines, irons and more. I know that recently there was a successful group buy of some Aurifil thread (sadly, I missed that one - a real savings on this thread). I'm working on some birthday gifts and that is my excuse for being unable to resist scooping up some "Summer Ride" from Wee Wander by Sarah Jane. 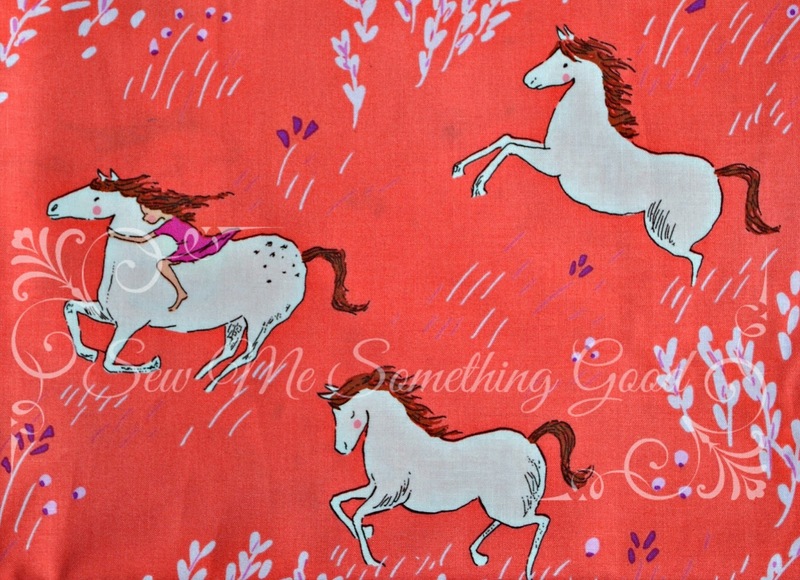 It's such a sweet print that I know will be appreciated when it's stitched into a special handmade gift. 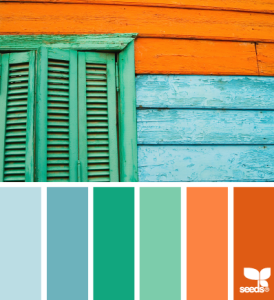 The colours immediately inspired me to start pulling fabrics from my stash to coordinate with it. 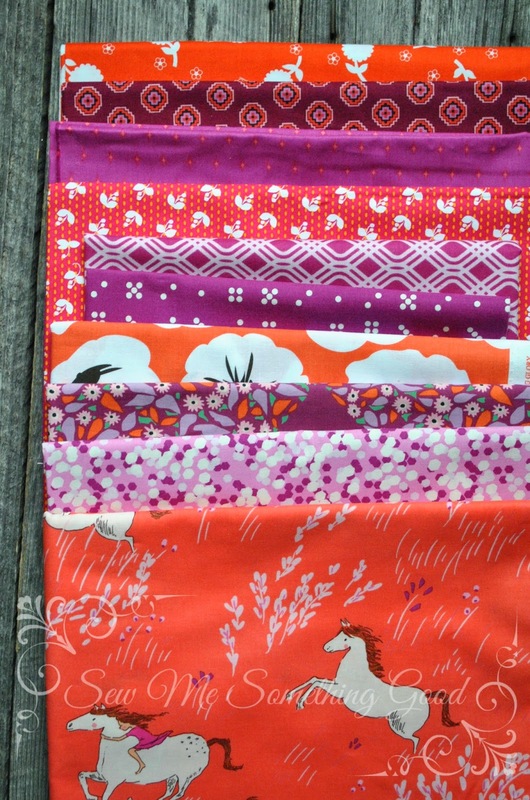 Top to bottom: Jennifer Pagnelli's Girl's World Vibe; Denyse Schmidt's Chicopee; Tula Pink's Acacia; Violet Craft's Madrona Road; Alison Glass's Party Streamer; Violet Craft's Waterfront Park; Violet Craft's Madrona Road; Anna Maria Horner's Field Study; Violet Craft's Waterfront Park and Sarah Jane's Wee Wander. I love mixing and matching fabrics and never tire of it. 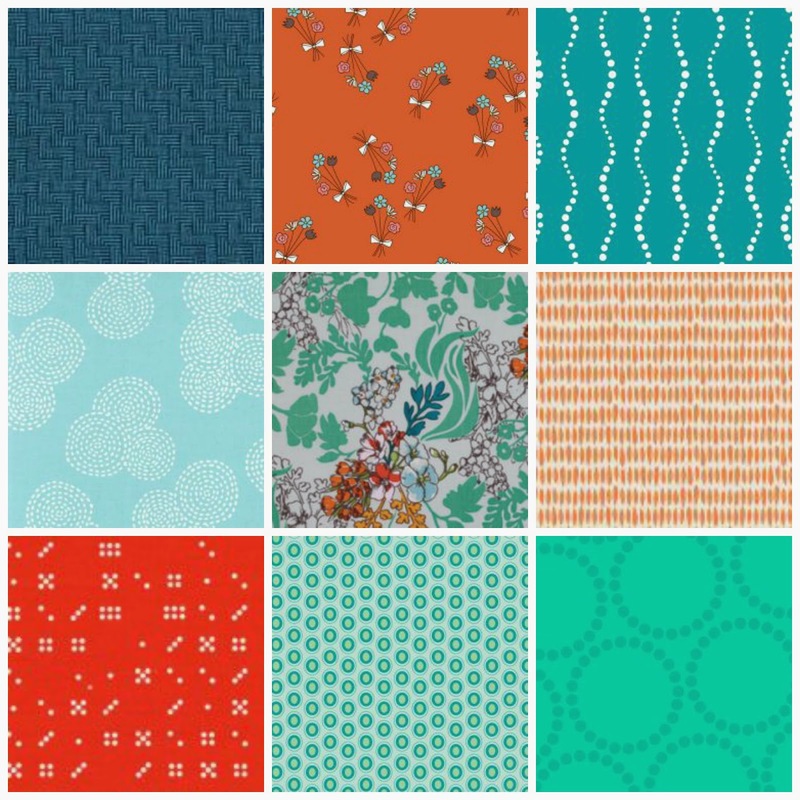 Wouldn't these make a fun quilt? Remember those chevron pieces I shared awhile back? My vision clear in my head for how to proceed, I grabbed my Frixxion pen and transferred a quilting design onto the fabric. Marked and ready to be quilted! ....to be online again after an unexpected break due to computer problems. Blogging had to be temporarily suspended and my emailing habits also took a hit (as the computer went a bit nuts on us - coming very close to crashing). Then came Mother's Day... and guess what gift my family gave me this year? My own computer! Pretty awesome, right? 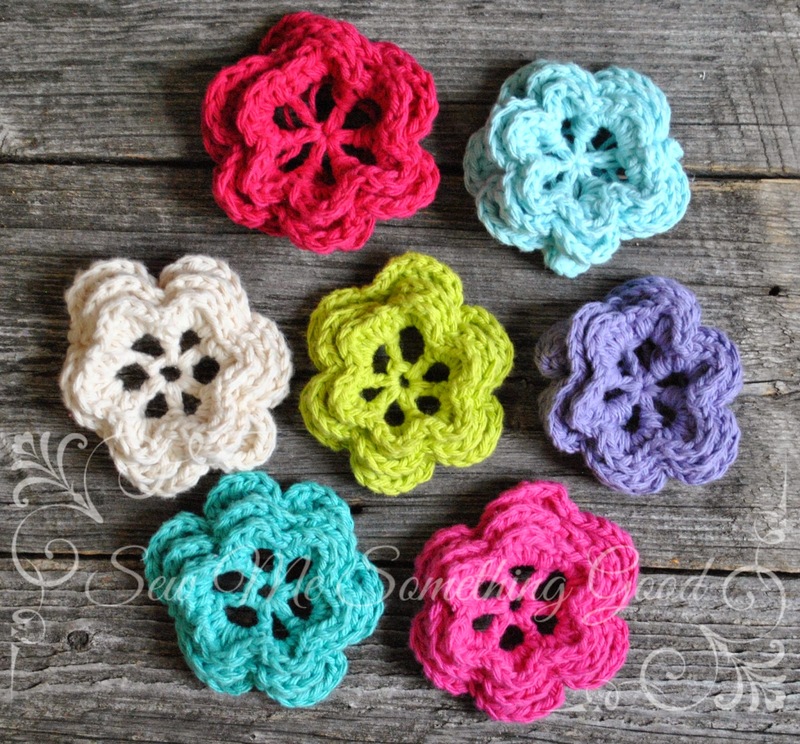 Pattern for these pretty crochet flowers is in Amy Morinaka's book: Zakka Handmades. I love this book!